Rankings offer opportunities. Don’t miss out! 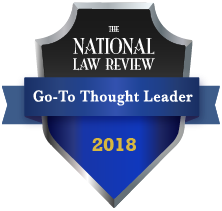 You know you’re one of the best law firms – with some of the most impressive lawyers in the marketplace – but does the rest of the world know, too? To show clients and prospects how you measure up, you need a law firm ranking strategy. Yet, marketers and law firm management often lack the time and resources to undertake the tasks of identifying, executing and leveraging ranking opportunities that a comprehensive ranking strategy requires. To show how you measure up, you need a law firm ranking strategy. Jaffe’s rankings advisers understand. In 2007, we were the first legal PR agency to develop a comprehensive database of credible law firm rankings and awards – and the list keeps growing each year. From Chambers USA to other legal and industry-specific rankings, we track rankings on a global scale all the way down to the local level. We are also the industry’s only full-service legal marketing and PR agency, which means the work doesn’t stop there. Once you get ranked, our RankingsForLawyers™ team works in collaboration with our senior-level PR, marketing and content professionals to maximize visibility for your accolades. Check out some of the rankings we’ve helped our clients achieve. In 2007, we were the first legal PR agency to develop a comprehensive database of credible law firm rankings and awards. One of the ironies of law firm rankings is that the firms, practices and attorneys most worthy of placement are often too busy to do the work to identify relevant ranking opportunities. Jaffe’s RankingsForLawyers™ consultants remove this burden from law firms by developing customized ranking reports tailored to your overarching public relations, marketing and business development goals. We compare your strategic business needs against our ever-growing rankings database – currently at more than 1,200 opportunities – to flag only the best and most relevant for your law firm. We also constantly monitor for credible new rankings, and we can advise firms about the validity and relevance of new opportunities that go directly to lawyers and law firms. We develop customized ranking reports tailored to your overarching public relations, marketing and business development goals. Most ranking submissions involve a complicated process that requires ample sourcing and organizing of information from disparate parties across the firm. Just one submission can cause extreme disruptions to business. Jaffe’s RankingsForLawyers™ team works with publications and organizations to understand what criteria they use. Then, along with our content service providers, we develop persuasive submissions, handling everything from information collection to submission drafting to interfacing with the rankings researchers to answer any questions that arise along the way. We develop persuasive submissions for our clients, and answer any questions that arise along the way. Achieving placement in a prestigious ranking or list is an accomplishment, and for many law firm ranking service providers, that’s where the journey ends. However, Jaffe knows that getting ranked is just the beginning. How you leverage the accolade completes the process. Jaffe’s multidisciplinary team of public relations, content, digital and creative service experts can develop a custom strategy to promote your ranking successes through all channels, including your law firm website, email, social media and media relations. Our goal is to get the news in front of key decision-makers to increase the return on your rankings investment.